Cooler Master has recently seen fit to branch out their product line with their new Inferno mouse, joining the Sentinel Advance in the lineup for those who, according to Cooler Master, prefer games like World of Warcraft, and other button-hungry, macro-requiring RTS and MMO games. You lose the questionably-useful OLED display and independent X/Y sensitivity levels (I know some people claim to love it, but I haven’t even figured out how to use them without nausea! ), and gain… buttons. And they doubled the on-board macro memory to 128 KB. 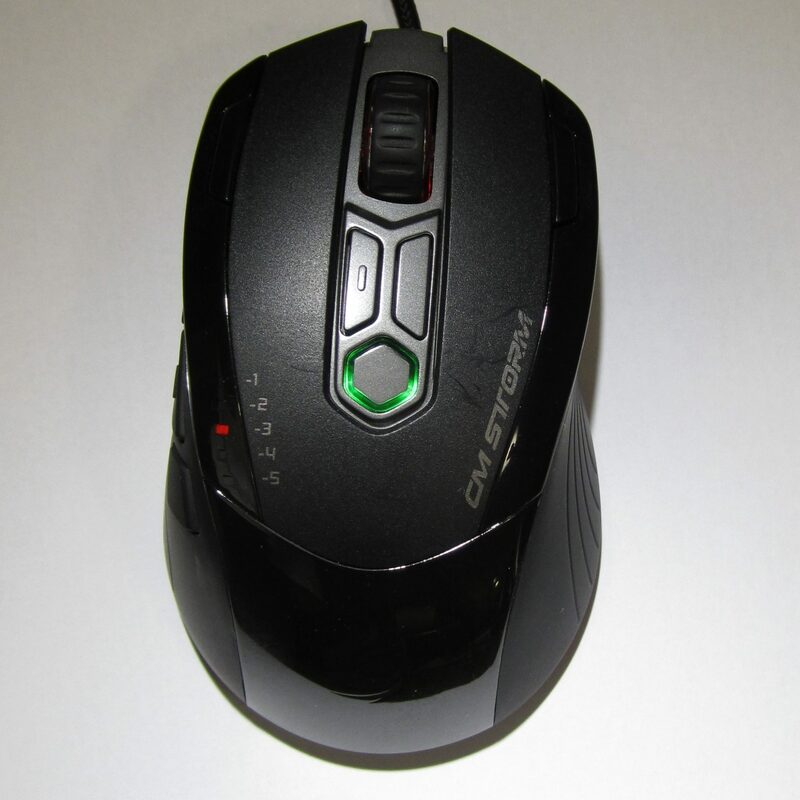 It’s really quite a nice looking piece of gear, too – they’ve added some unusual LED lighting; the forward-firing lights come on in response to mouse buttons in the most unique of the programmable modes. Our first impression was moderately positive – but once again, we at TechwareLabs are opinionated folks with high standards… typically set high by Razer and Logitech. Thankfully, the PC mouse industry has dragged itself out of stagnation lately; innovative products like the Magic Mouse with its sleek, swooping multi-touch interface, at least three different new types of mouse sensor, Mac drivers for gaming products, and solid competition for the Big Two. The pressing question? Is this part of that solid competition I just mentioned, or is it just another OEM’s fly by night attempt to catch on? We’ll be figuring that out shortly. Read on. 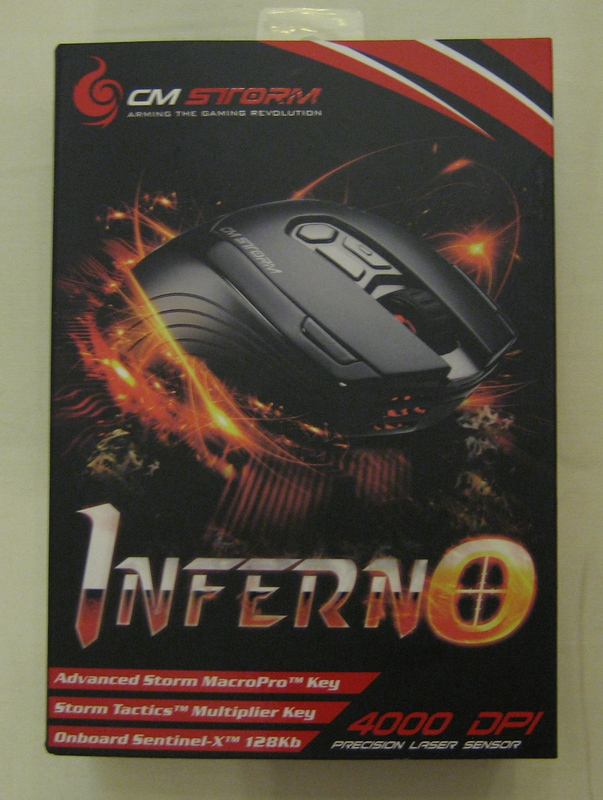 The Inferno came to us in a fairly standard cardboard box with flip-open covers and a black-and-red color scheme that reflects the mouse’s built-in LED lighting scheme. 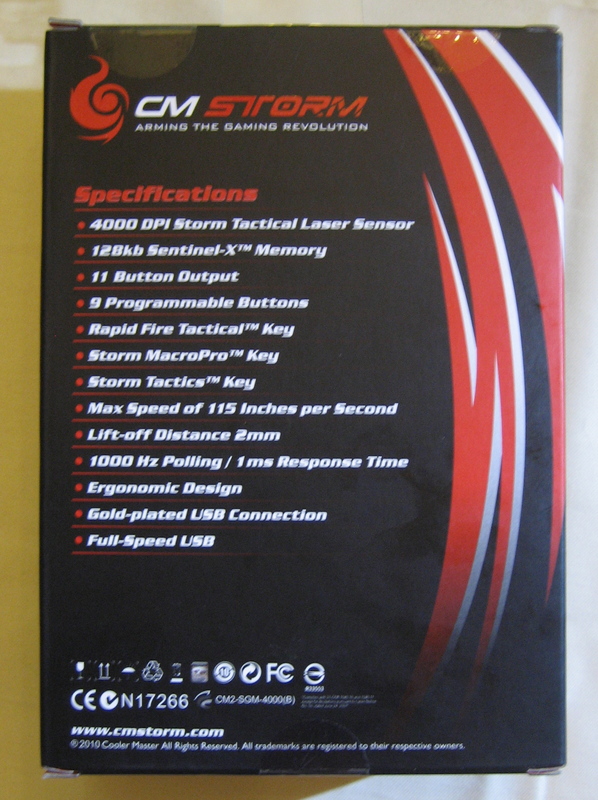 On the back is an accurate, un-cluttered feature list; inside the cover, an annotated picture highlighting the novel features Cooler Master has packed into it. Two of these are pretty typical in a modern gaming mouse; macro recording, and rapid-fire (which you may recall being popular back in the Super Nintendo era). 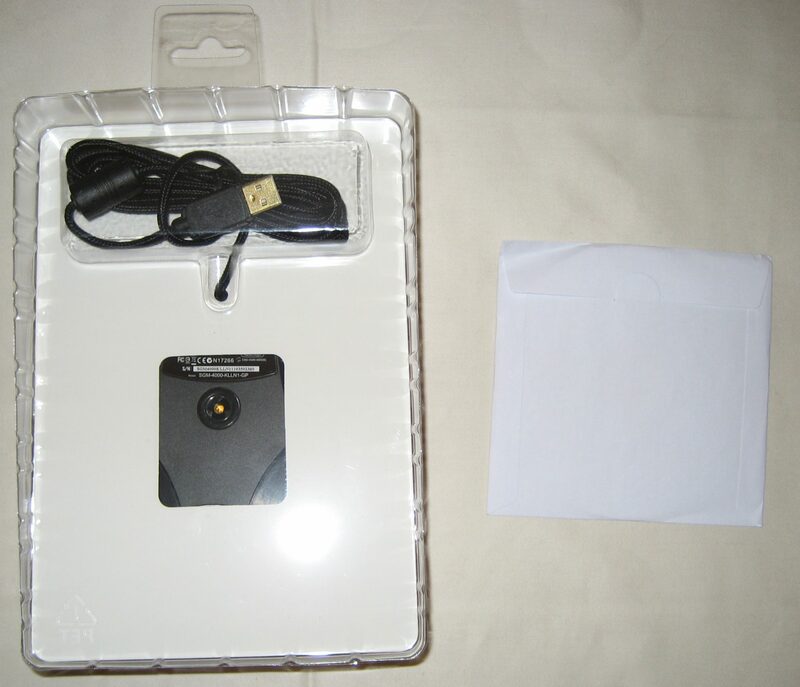 Inside the box, held shut with a round patch of tape, is a driver disc in a sleeve floating free (1.0 drivers, naturally, but they’re only a little obsolete – at the time of writing, the web was hosting v. 1.1), and a refreshingly accessible HDPE insert containing the mouse itself. “Refreshingly accessible” in this case means that the insert slides right out of the box, and back in with only a little more care, and that the plastic is emphatically not ultrasound-welded, requiring extensive plastic surgery to remove. Still, there’s enough air space to cushion all but the most severe bumps, jostles, and dings during shipping.